England’s premier whisky distillery is featured along with well-established names, including Glenfiddich and Bush Mills, on World Whisky Day’s list of top distilleries to visit. As part of the announcement it was stated that ‘to visit [all the distilleries in the world] would take a lifetime, so we've whittled them down to eight distilleries to see before you die’. This news, and the distillery’s recent success being named ‘best distillery facilities in the world’ for the third year running at Spirits Business Magazine’s Global Distillery Awards 2018, showcases the success of the three-year-old company, and its work attracting people to its visitor centre on the River Derwent. The distillery, which was the only producer named in England, is already a Top Ten Lake District tourist attraction, receiving in excess of 100,000 visitors a year to its visitor centre and Bistro. Nigel Mills, one of the three founders of The Lakes Distillery, said: “Being named alongside such prestigious names as Glenfiddich is great testament to the work we have done promoting our products and English whisky as a whole. “This announcement will attract new visitors to the area, helping us to fund our business objectives, as well as contributing to the local economy, as whisky fans from across the globe make it their mission to tick off the world’s number one distillery. After a successful crowdfunding initiative which saw 2,521 people buy a stake of a £1.75m share sale, the distillery is planning for a year that will put English whisky on the map in 2018, with the launch of four premium collections including Steel Bonnets, the world’s first English/Scotch blend, and its first ever single malt. 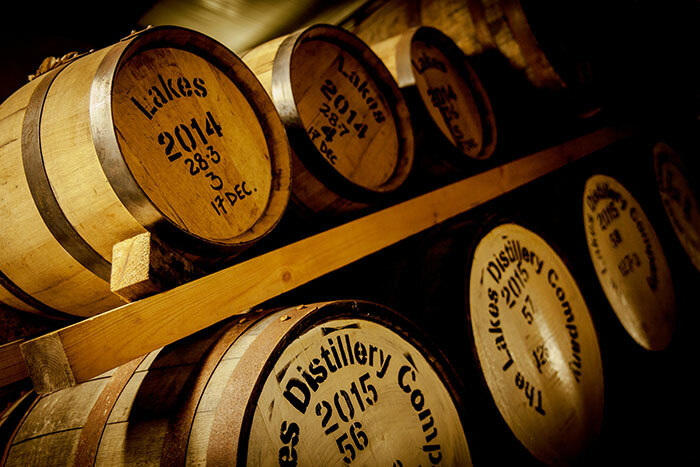 The Lakes Distillery started trading three years ago and has already produced 600,000 bottles of whisky worth £30million at retail. It has won numerous prestigious awards and introduced a number of Gin and Vodka brands, as well as a unique blended whisky, all on sale in high street outlets in the UK and in major export markets, including the Far East and Australia. A surge in demand for the distillery’s luxury Christmas baubles, released in November, resulted in shipments to United States, including: Arizona, Hollywood, Minneapolis, Chicago, Florida, Illinois, New York and Texas. Interest has also grown from the Ukraine, Germany, Netherlands and Russia.